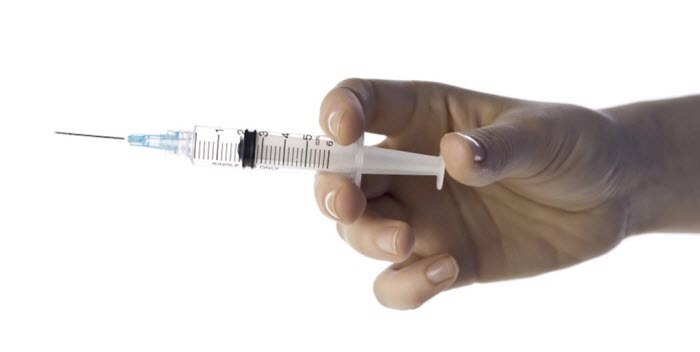 QbD > Blog > Vaccinating: a new key role for pharmacists? Vaccinating: a new key role for pharmacists? With winter on the way, the moment for a flu shot is at hand. A lot of people, often older than sixty or with a specific medical condition, will get their annual flu vaccination in October or November. A routine job, you’d say. But in Belgium, this little shot has been a big talking point for pharmacists and family doctors recently. There is a growing body of opinion that pharmacists should be authorized to administer common immunizations, including vaccines for the flu and other preventable illnesses. Both the East Flemish pharmacists association Kovag and the Belgian Pharmaceutical Association (APB) plead to expand the role of pharmacists and provide them with the legal right to give flu vaccinations. The reason for this plea? When a Belgian needs a flu shot, he first goes to the family doctor for a prescription, picks up the medication at the pharmacy and has to make a new doctor’s appointment to have the shot administered. Way too complicated according to pharmacists, and I couldn’t agree more. Not only is allowing pharmacists to administer vaccinations more convenient for patients – rushing between a doctor’s office and pharmacy will be history, as well as waiting times and limited opening hours – it will also lead to cost savings to our health care system and eventually: a healthier society. Last September, I visited the Nordic Life Science Days in Stockholm, Sweden. One thing that became clear at this event is that if we want to create cost savings to the health care system in Europe, we have to look for ways to help people faster within our existing health care system. How? For example by transforming pharmacist into first-care points, like they’re doing in Canada. Over the last years, pharmacists in many Canadian provinces became, among others, authorized to administer flu vaccinations. In British Columbia, Alberta, New Brunswick and Nova Scotia they were even allowed to administer injections to prevent hepatitis A or B, varicella, herpes zoster, tetanus, pneumococcal and diphtheria. The rational consequence? A reduction in the number of people requiring acute care, saving the Canadian health care system a lot of money. The Pharmacists’ Association of Newfoundland and Labrador estimates a 1.1 million dollar saving in provincial health care costs in that province alone, by allowing pharmacists to vaccinate(1). The argumentation is simple: allowing pharmacists to vaccinate increases system capacity and immunization rates, resulting in less flu cases and less people being hospitalized as a result of the flu (or other preventable illnesses). Other countries, like Ireland, Portugal and the United Kingdom, also realize the advantages of vaccinating in the pharmacy. But in Belgium, family doctors see a flu shot as a yearly catch up with their patients and are afraid that a pharmacist’s lack of knowledge of the medical background of a patient will be an obstacle. After all, a family doctor knows his patients best. That’s why I plead for a multidisciplinary cooperation. As the APB points out: there’s absolutely no intention to replace family doctors in the vaccination process. Goal is to investigate how pharmacists can help raise the amount of vaccinations in Belgium by simplifying and broadening the access of the Belgian population to vaccination. At least we have opened the debate on how to organise the Belgium vaccination system, and family doctors need to open up to the idea of pharmacists as a first care point for vaccination. And that’s necessary, I’m the living proof: last year I went to the pharmacy to pick up a flu shot, but never made it to the doctor. The vaccination is still lying in my refrigerator. This discussion really comes down to a classic quality management issue, and if the health care system as a whole were a QbD client, allowing pharmacists – provided that they are well trained and coached, thus ensuring the quality of the service – to administer flu vaccines is precisely the advise our consultants would give. (1)Sander B, Kwong JC, Bauch CT, et al. Economic appraisal of Ontario’s Universal Influenza Immunization Program: a Cost-Utility Analysis. PLoS Med. 2010; 7:e1000256.